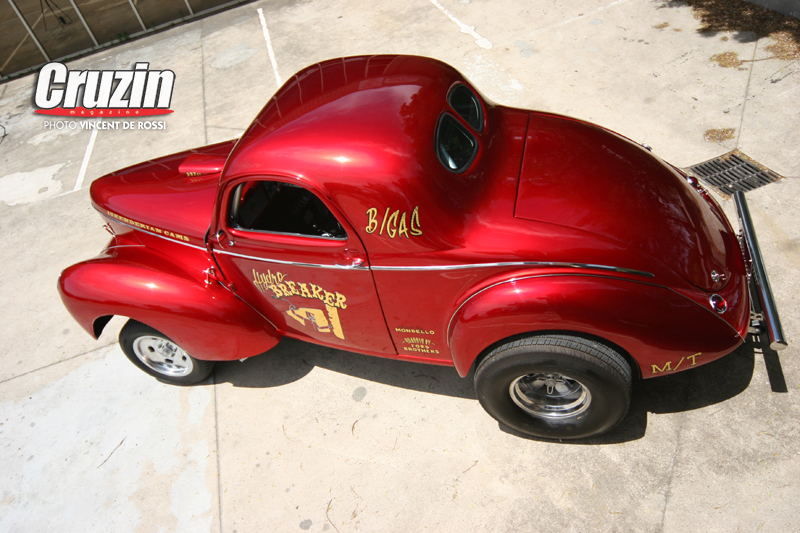 The inspiration for supercharged gas coupes, aka gassers like Rob Monea’s 1941 Willys is the love of nostalgia race cars and the drag racing in the 1960s. It was a time before assembly line muscle cars replaced hot rods, before brightly coloured bell-bottoms replaced indigo (denim jeans) dungarees, and before some British mop tops elbowed out American-born musicians like Elvis and Jerry Lee Lewis. Rob Monea likes that period so much, he lives it. The cars he builds and drives reflect that, in deed the band in which he plays guitar, ‘Itchy Fingers’ perform in the style that is very suggestive of that very era. 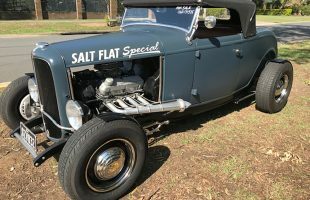 Whilst playing with his band at the Wintersun Festival on the Gold Coast seven years ago, Rob met with a bloke who had a fibreglass ’41 Willys coupe body in his garage. He bought it immediately. 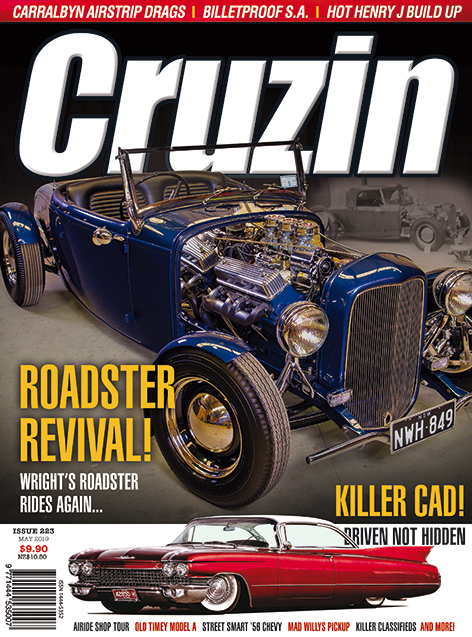 The body sat hidden in Rob’s garage for a long time before he blew out the cobwebs and handed it over to Melbourne’s Ford brothers who are renowned for building old school race cars and hot rods. Gassers are a specialty! 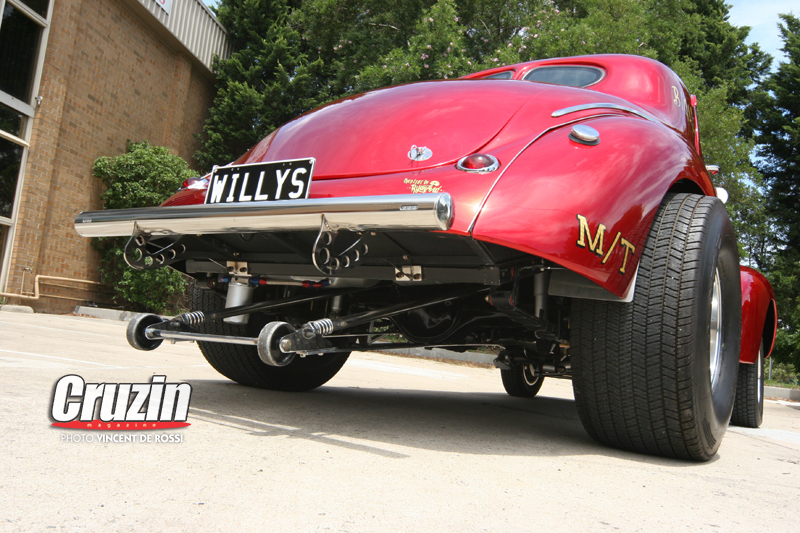 The boys began by boxing the original Willys chassis then adding new crossmembers. 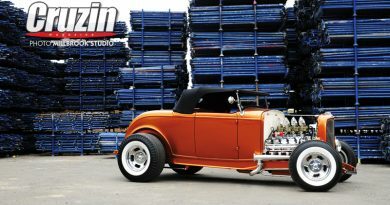 They also fabricated and installed the steel floor, eight point roll cage and rear wheel tubs. 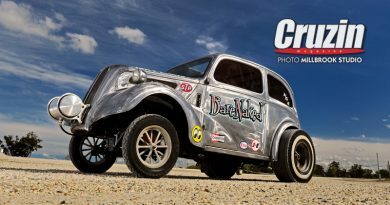 Speedway Motors supplied the gasser straight axle kit including the four inch drop tube axle, semi-elliptical springs and stub axles. 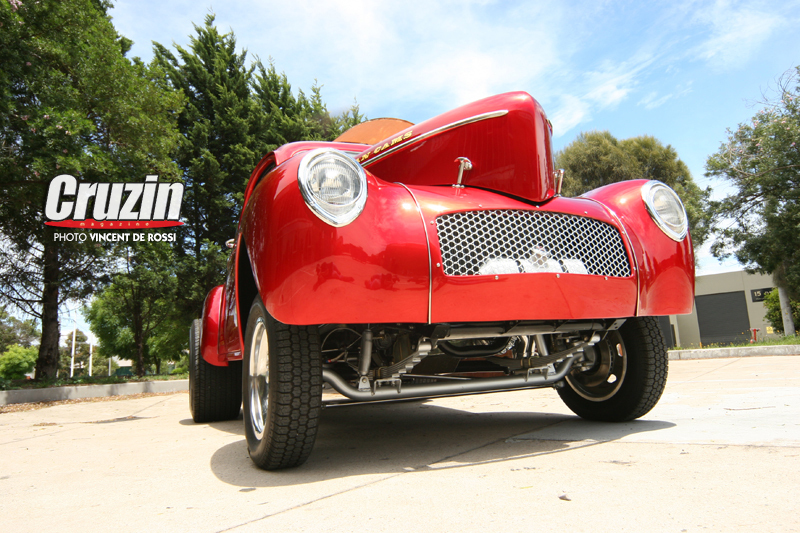 A Holden HQ steering box and Ford XY column help steer the Willys in the right direction. Ford XB discs and Commodore VS callipers work together up front in conjunction with a Holden Gemini brake booster and Falcon master cylinder. A Ford F100 donated its differential, Rob incorporating the GT Falcon rear finned drum brakes before having it stuffed with a Strange Engineering full spool, 4:11 centre and 31 spline Moser axles. Leaf springs combined with the Ford Bros’ fabricated ladder bars secure the unit to the rear of the chassis. 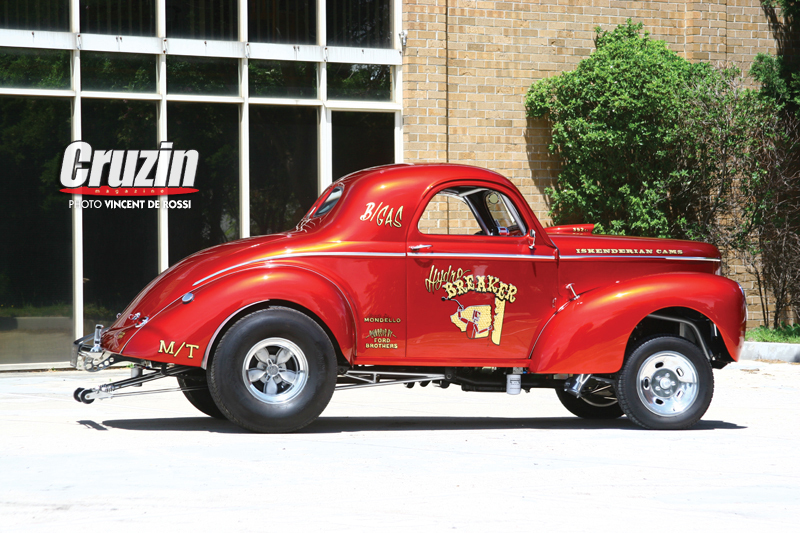 When you’re building 60’s styled Willys gasser there can be only one choice of engine – Hemi. 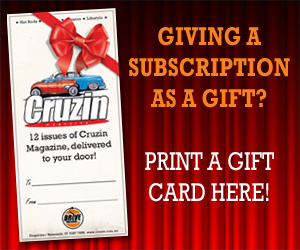 Nothing short of 392 cubic inches of Chrysler’s finest will do. Rob had the engine block, crank and heads stored in the garage for years. 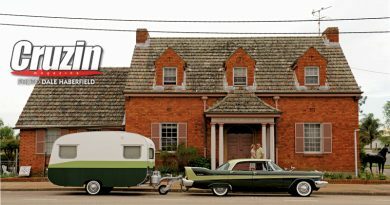 MK Automotive was entrusted to build the Hemi. Rowan (Skid) and Marty made up a parts list they would need to complete the rebuild. Rob sent it on to Hot Heads Research in the USA, a company specialising in all things hemispherical. S&S Headers custom made the three inch headers and keeping it all cool is an Aussie Desert Cooler radiator. 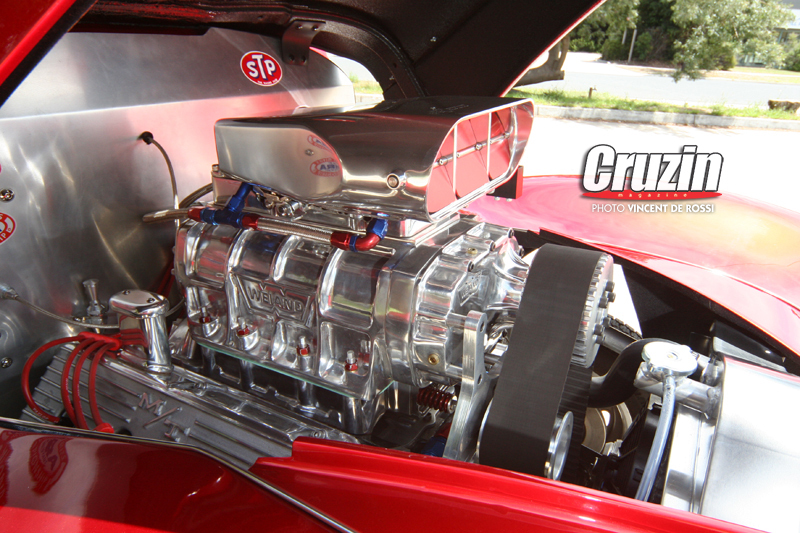 Under the Don Garlits ‘Streetcatcher’ scoop sits a Barry Grant 850cfm blower carb along with a polished 6/71 Weiand supercharger. 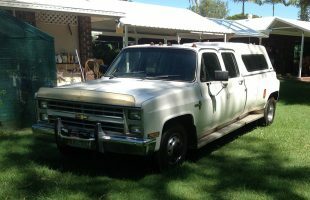 As one would expect, an engine combination of this nature pumps out a few horses and lot of torque, so Rob had Brett at Absolute Transmissions build a GM Turbo 400 transmission capable to withstand the abuse. The hard part for Rob was always going to be the colour and wheels combination. 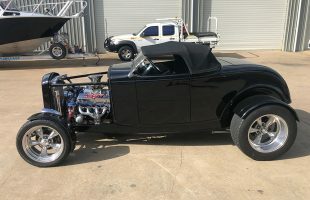 To keep the costs down, Rob initially wanted to give the Willy’s a few coats of primer and throw on some period correct decals that he had collected that would give the Willys that (very) used race car look. 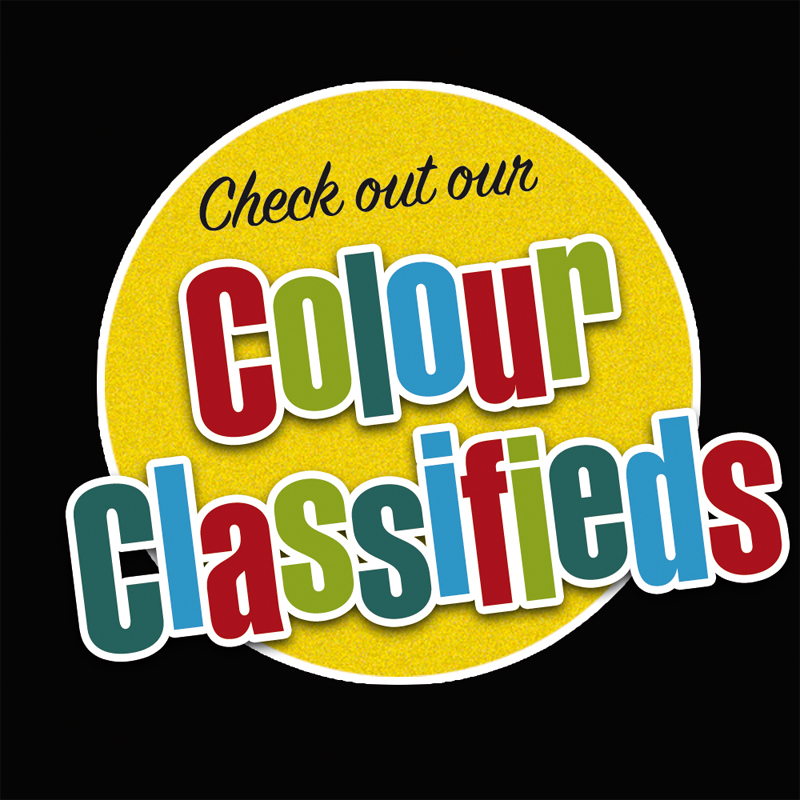 Then something happened – Rob met Shawn Potter and Nick Caminiti of Exotic Kustoms. 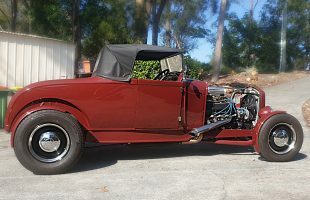 Rob prepped the body for paint before handing it to Exotic Customs for the House of Kolor candy red over a silver base. 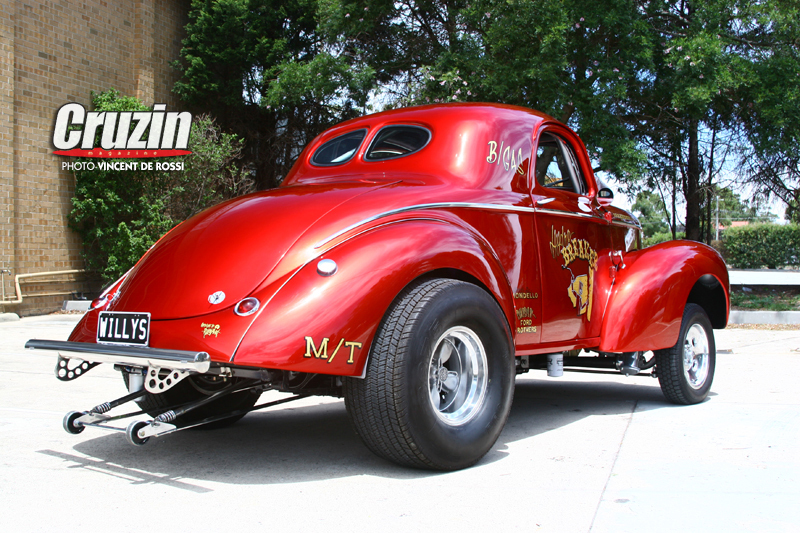 The colour is very reminiscent of the famous Big John Mazmanian Willys, which is what Rob wanted to avoid at all costs. 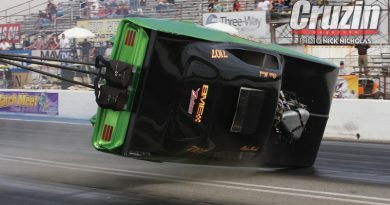 “Big John’s car has been done to death, there are so many tribute cars built that I wanted something different. But when I saw the finished product, I didn’t care about all the others. Candy red is made for the Willys. Ryan Ford is not only a talented pinstriper, but showed us that he can also lay down gold leaf which is a delicate, time consuming job. 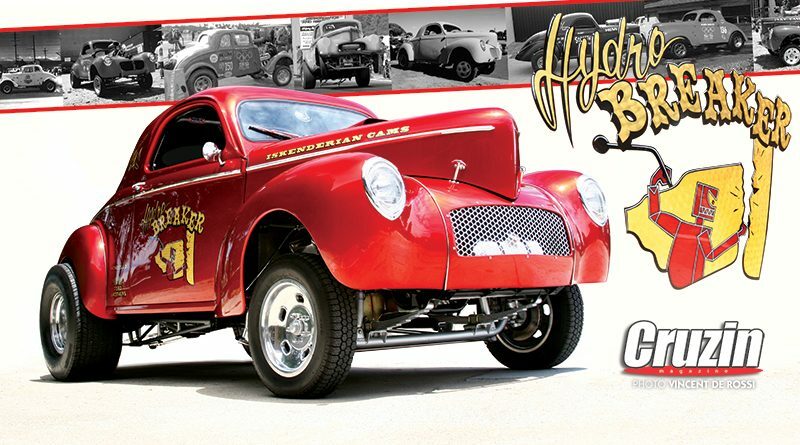 There’s a lot of lettering on this Gasser including the Hydro-Breaker logo on both doors, a moniker that Ryan is responsible for. Rob added 1950 Pontiac rear lights and had a custom stainless grille insert made resembling that of a 1958 Ford Fairlane which is what many gassers ran back then. Rob also made the rear stainless rear push bar which in early times could also be loaded with lead to help with weight distribution. 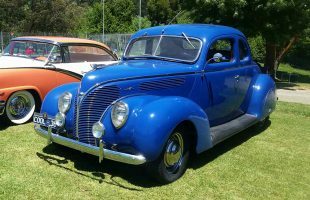 The front headlights and all other accessories were sourced from Willys Replacement Parts in the USA. 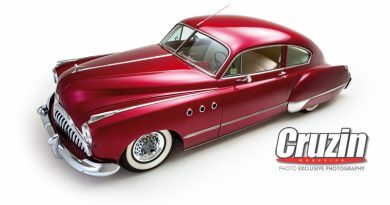 To contrast the Candy red, Rob chose to fit polished 15 x 5 small window Halibrand styled rims up front. For the rear Rob had a set of 15 x 10 Daisy rims which are reputedly off the infamous ‘Head Hunter’, a ’41 Willy’s pick-up Gasser that reeked havoc on the USA drag strips in the 60s and 70s. 12 inch wide Pro-Trac rear hoops complete the arrangement. 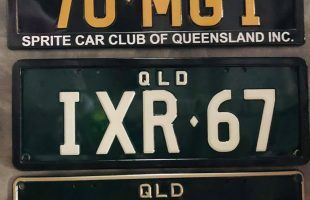 If you’re wondering how that rubber makes it past rego, Rob cleverly created some slide out flares to satisfy fender laws which can be tucked away when the car is on show. 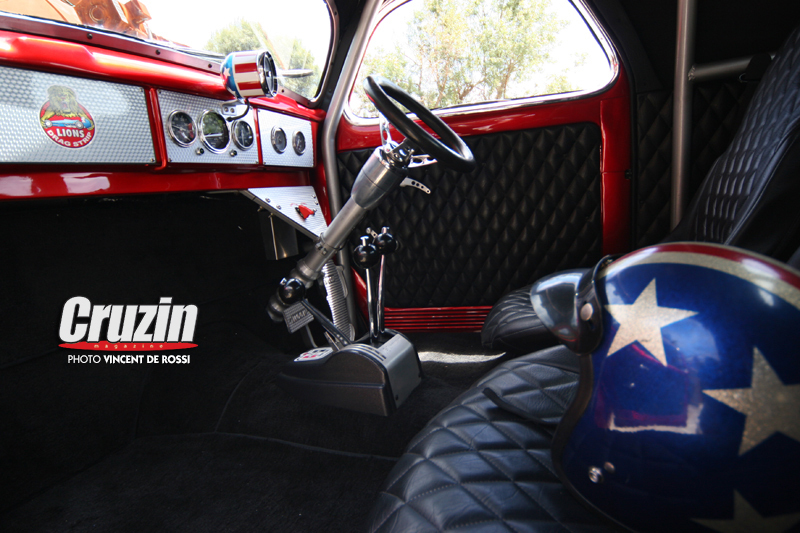 The interior is simplistic to say the least; two race seats, roll cage, Hurst Lighting Rods shifter, polished steering column, Grant deep dish sports wheel and Moon pedals. The steel dash is out of another old gasser race car and fitted out with period correct 2 5/8 inch Stewart Warner gauges. The tacho is an original and very rare Don ‘Big Daddy’ Garlits type found in race cars from the late 60s era. Rob has since sold the car, simply because it turned out too nice. 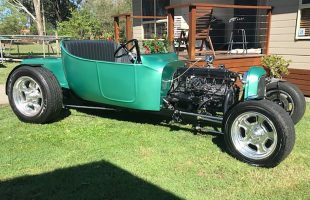 He has since invested in a couple of other toys from the USA including a beater ’34 Ford which he intends to use regularly. 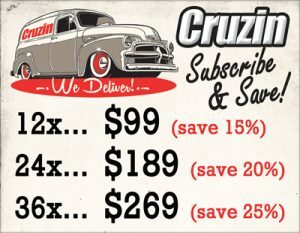 Special thanks to Exotic Kustoms, Mikes’ Auto Electrics, Ford Brother’s, MK Automotive, Tony Detonato, Al Pal, and last but not least wife Kylie and children Shae and Chase for their unrelenting patience over the last seven years.